Got to know him when I started getting my life back into Gods will 3 years ago. I remember his testimony in the milk truck. I remember one time in particular I walked into the store in a bad mood before work. We talked and he said one little thing and turned my whole dispoition of the day ahead to a different outlook. Alton Littleton “COTTON” Harris of Lula GA passed away August 20, 2018 at Northeast Georgia Medical Center. He was born March 31, 1938 in Hall Co, New Holland GA, to Curtis and Susie P Harris. Home Celebration will be held at 1:00 p.m. on Friday August 24, 2018 at Whitehall Baptist Church. Rev. Scott Chastain, Rev. Gregg Poole, Rev. Philip Robinson, and Elder Charles Chapman will officiate. Rev. Brent Jordan will officiate the graveside service. Rev. Dwayne Ryals will lead singing and give an invitation at end of service. Interment will follow in the church cemetery. The family will receive friends at Little & Davenport Funeral Home on Thursday, August 23, 2018 from 2:00 p.m. until 4:00 p.m. and from 6:00 p.m. until 8:00 p.m. The Family request no flowers. If you feel the need to honor my daddy, purchase bibles through any Gideon Speaker to continue to spread the Gospel of Jesus Christ. He’s survived by daughter’s Angela (Philip) Shockley, Lula Ga and Areta (Greg) Morgan, Gillsville Ga; 3 grandchildren, Robert (Keri) Morgan, Jonathan (Cory) Shockley, and Jessi (Darin) Kimbrell; 6 great grandchildren; brother and sister-in-law, Jack and Sandra Coley; sister and brother-in-law, Judy and Garnett Stephens; brother-in-law, Gary Coley, Sr. Several nieces, nephews, cousins, neighbor kin, and many many special friends, too many to name. He is best known by his testimony of salvation where he was in the floorboard of a SEALTEST Milk truck on an August Friday Morning before the third Sunday in 1964. Then on an August morning in 1965 he felt the call of the Lord to preach the gospel. His life became PREACHING and Truck driving. Our family vacations were weekly revivals where we would literally stay the week in the town where the church was at. A few trips to Cherokee NC and yes we would attend church with the Native Americans. As recent as two years ago he would still drive up to visit one particular church and had to preach a Sunday Night Service. He longed for the day when the Lord would call him home and although he knew it was God’s timing, he still would ask God every day to come and take him Home. 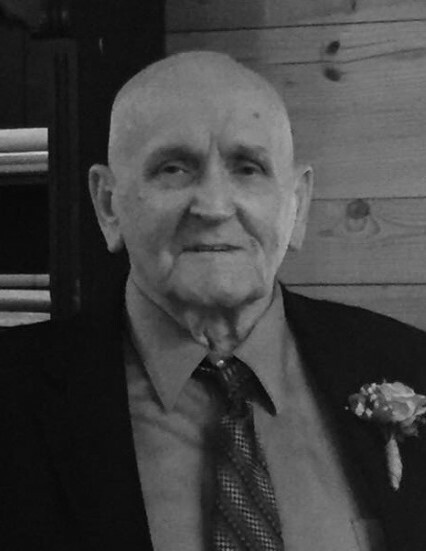 He worked hard in R O Pilgrims Café, Gene Tyners Grocery Store, SEALTEST Milk, Flavorich Milk, Atlanta Dairies, Beam Oil, and finally retired from McPherson Oil Co in 2000. He never retired from preaching. He helped in two revivals this year, July at Bethlehem Baptist in Blairsville, Ga and last week Straightway Baptist in Clermont, Ga. He drove himself to Flats of the Middle Creek Baptist in Scaly Mtn. NC on Sunday August 19, 2018, stood up to tell them this would probably be the last time he would see them and wanted them to know he loved them all. To y’all he was a mighty man of God. He wasn’t perfect nor did he claim to be. He was just a sinner saved by grace. To me he was my DADDY! I am his fleshly mini me and we clashed a lot, but he was MY DADDY and I am a DADDY’S GIRL! Little& Davenport Funeral Home and Crematory, 355 Dawsonville Hwy, Gainesville, GA 30501 is in charge of arrangements. One of the best men I ever had the pleasure to meet. Condolences for the loss of your friend. It's tough losing a mentor. The best way we can honor them is by putting all they taught us to practice on a daily basis. He helped my dad in revival at Zion Hill Baptist church in Ellijay in 1983. I was saved that week. God Bless!